Update: Now up to $260, which is still a very good price, historically. 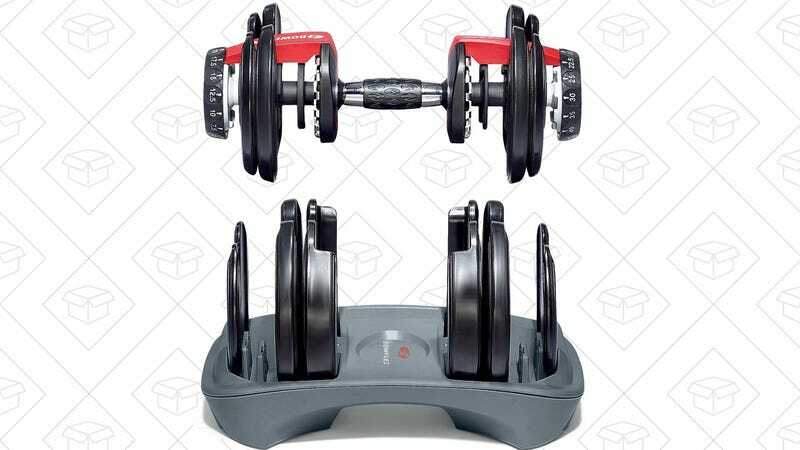 $250 is a lot to spend on a set of dumbbells, but these Bowflex adjustable models take up way less room than a full rack of weights, and certainly cost less over time than a gym membership. Still not convinced? They have a 4.7 star review average from over 2,900 Amazon customers, and they’ve never been cheaper.